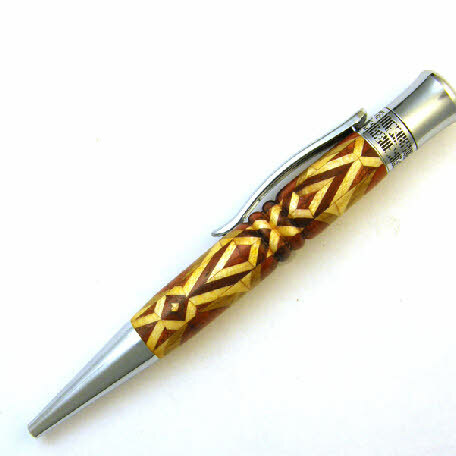 This is a slightly shorter pen that uses a Parker-style refill. It comes with a Parker Gel refill. 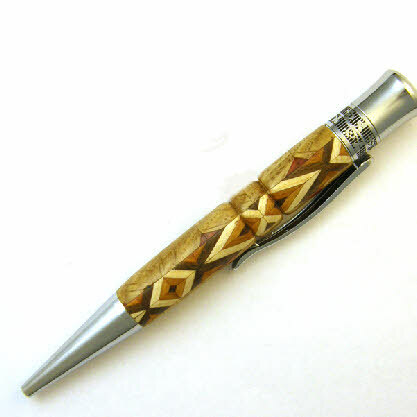 This pen is made from over 70 pieces of various Hardwoods. 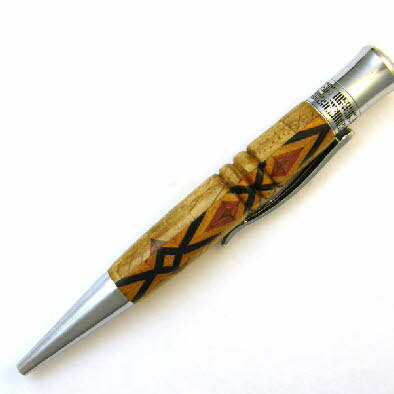 Engravable with up to 8 letters or 3 initials on the clip.